Happiness: measures of user attitudes, often collected via survey. For example: satisfaction, perceived ease of use, and net-promoter score. Engagement: level of user involvement, typically measured via behavioral proxies such as frequency, intensity, or depth of interaction over some time period. Examples might include the number of visits per user per week or the number of photos uploaded per user per day. Adoption: new users of a product or feature. For example: the number of accounts created in the last seven days or the percentage of users who use a particular feature. 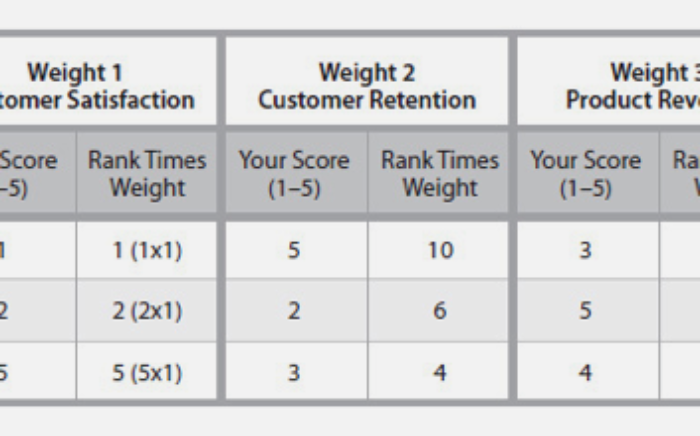 Retention: the rate at which existing users are returning. Task success: this includes traditional behavioral metrics of user experience, such as efficiency (e.g. time to complete a task), effectiveness (e.g. percent of tasks completed), and error rate. This category is most applicable to areas of your product that are very task-focused, such as search or an upload flow. 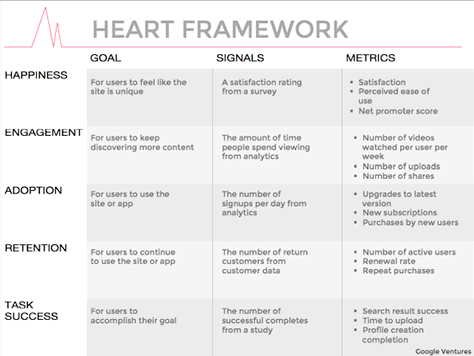 Choose one or two categories in the HEART framework that are the focus of your product or project. E.g. – “Our goal is to increase traffic to our site”. Everyone wants to do that, how will the user experience help ? For users to enjoy content and keep discovering more to engage with. Must discuss and narrow down which signals seem to be the best predictors of the associated goal. 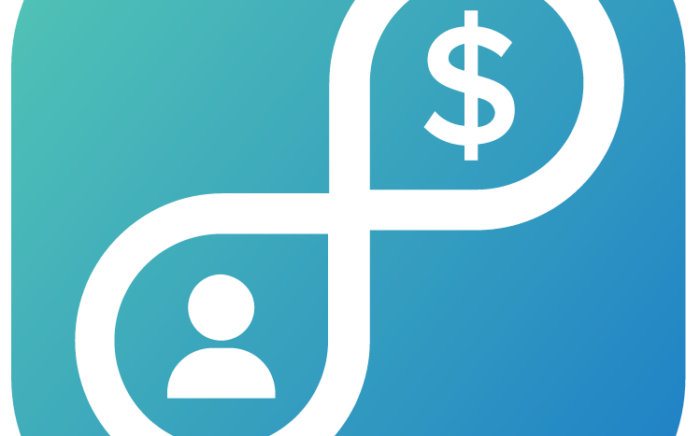 Look for data that you already collect on user metrics or data that you would need to. Also, must know how easy or difficult each signal is to track ? Is product instrumented to log the relevant actions, or could it be ? Also, chose signals that you expect to be sensitive to changes in your design. Amount of time users spend engaging with content on your product in a specific section of the product. Analyze data collected to decide what’s most appropriate. Avoid the temptation to add “interesting stats” to your list. 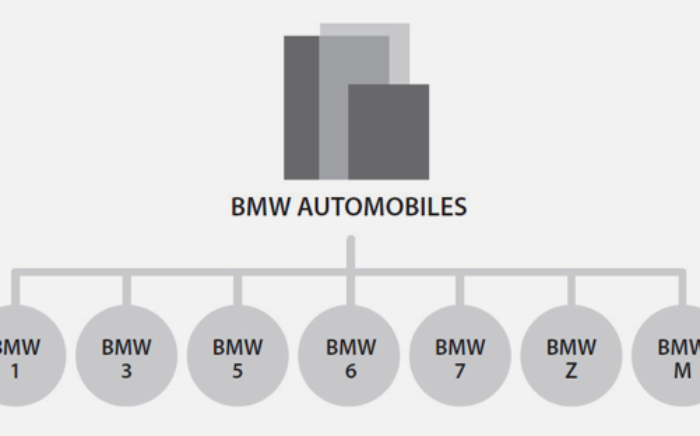 Ask yourself, will you actually use these numbers to help you make a decision ? Do you really need to track them over time or is a current snapshot sufficient. 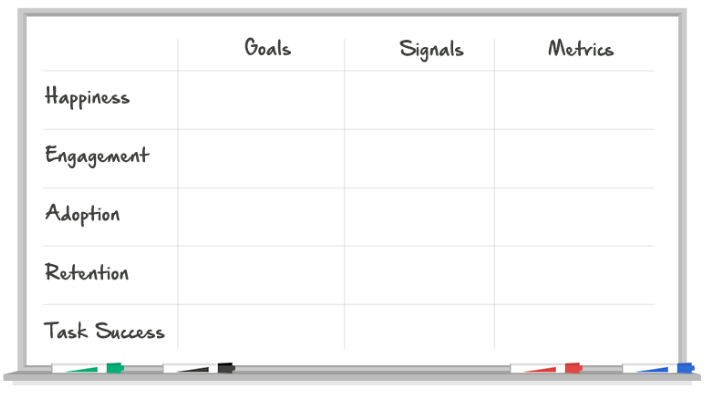 Avoid unnecessary implementation effort and dashboard clutter. Again go for MVP in this scenario too. 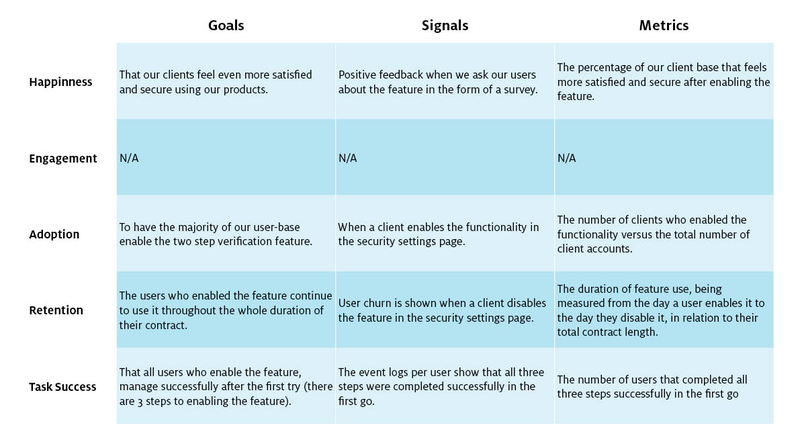 | How to chose the right User Experience metrics for your product ?